The story is astounding and miraculous. I enjoyed watching a film centered on an Indian narrative, as we are often overlooked as an Asian population, though our culture is rich, ancient, and lively. Adoption is complex — on all sides — and it is just in the last 15 years or so that we have seen a push for adoption narratives to be informed by adoptee perspectives. Those of us who are adopted are the experts. It is just in the last 15 years or so that we have seen a push for adoption narratives to be informed by adoptee perspectives. Given our stories are as unique and individual as we are, what kind of impact does a story like “Lion” have on the adoptee community? I don’t have all the answers, nor am I going to try and accommodate the vast differences in experience, process, or political commentary that adoption lends to (maybe that’s another article). But I do want to share a little bit about my adoption journey and how my experience of watching “Lion” was more like a fairy tale than reality. I invite you to the conversation, knowing my voice doesn’t speak for all adoptee experiences. 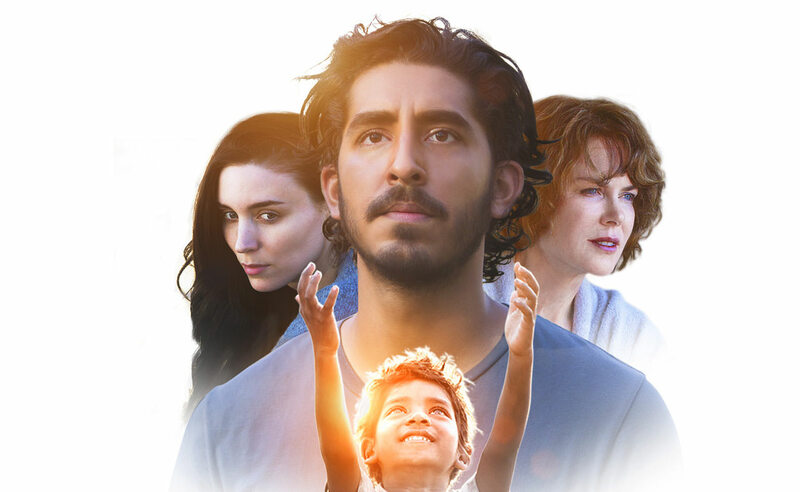 Saroo’s story provides an ideal arc to explore the adoption narrative. His identity journey follows the arc of many fairy tales and epic narratives. When we are introduced to Saroo, we happily see his family and home of origin. We are given glimpses of his simple life in a rural part of India. His mother gathers rocks; his brother works too, sometimes taking Saroo along. He and his sister are too young for work, but Saroo is eager to help. Suddenly, while accompanying his brother on night shift, Saroo gets displaced. His brother doesn’t return and Saroo is stuck in a train station alone. Saroo eventually makes it to an orphanage where he is adopted by a family in Australia. The rising action of his story is plotted out through his adoption and journey of self discovery. There is complexity behind this dual narrative — his adoption was a rescue from his displacement, but it does not fully resolve the question he has of his identity and belonging. He needs to find his origins for a more complete rescue. His adoption was a rescue from his displacement, but it does not fully resolve the question he has of his identity and belonging. While I watched Saroo journey through his memories of his time in India, I wondered what it would be like to feel such a strong connection to a place. His identity was rooted in the history of who and where he originated from. His memories were distinct; he had tastes, sounds, faces, and memories to attach himself to as he searched for his family. He remembered his mother working and gathering rocks. There were landmarks he could identify, as well as moments with his brother, such as wandering train tracks together or helping at home. I was adopted in February of 1987 from Calcutta, India at 5 months old. I came through a larger orphanage that had strong ties to Minnesota and placed a majority of the babies coming from India to the U.S. in the 1980-90s. However, in the 90s, India ended privatized adoption, closing most of the orphanages and adoption agencies across the country. Because of this, I don’t have much information on my family of origin and I have no access to records that may or may not have been kept. The orphanages that closed got rid of all their records. My adopted family had a few medical records from my care facility since I was at an orphanage until I flew to meet my parents. 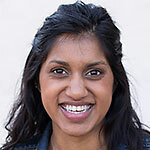 Thus, I only know that I was premature (as many Indian adoptees were) and that I was sick. I had to be treated for a blood disease and needed to gain some weight before I was healthy enough to fly. In the 90s, India ended privatized adoption, closing most of the orphanages and adoption agencies across the country. The orphanages that closed got rid of all their records. I grew up in Miami, a richly diverse environment where many of the families on my block were ethnically mixed. For the most part, not looking like my family was normal. It hasn’t been until recently — when we moved to Minnesota for my dad’s job and I met more adoptees — that I am learning the extent of how significant my surroundings were to my upbringing. The Midwest is predominantly white and many other adoptees I have met in the area were raised in very homogenous environments. With this came the strong expectation to assimilate to dominant, white culture. They have cited that their ethnicity wasn’t discussed, they were treated as if they were white and the fact they were adopted was often minimized. My experience was far different from this. Many people in Miami are not born in the U.S. (or their parents weren’t). Nationalism and ethnic identity are celebrated and strongly identified with. Talking about the country you come from is normative, as is the idea of “home” being two countries. My diverse environment and adoptee identity facilitated an open space for talking about adoption and ethnicity. Adoption was a frequent and normal topic in my home. I even had bedtime stories that centered on adoption narratives. Amid all of ways I learned about my ethnic identity and being adopted, one thing was clear: I would never know my origin story beyond my medical records. We didn’t have papers, a name, or a number. Unlike Saroo, I didn’t have memories, tastes, or relationships to connect me back to India. Unlike Saroo, I didn’t have memories, tastes, or relationships to connect me back to India. As I watched Saroo discover himself, I saw a bit of myself in the wondering, the unknown. But without memory, my curiosity is tempered; I don’t have the same kind of longing. I don’t really have any interest in exploring the land where I came from. I have considered a trip, for tourism, but don’t carry with me the knowing that someone is waiting for me, missing me, the way Saroo knew his mother would be in their village. Saroo’s story, while brilliant and wild, fulfills the myth of the Happily Ever After. It’s a story that everyone wants to hear: the resolve of finding home, the pain and sacrifice justified by reunion. It gives hints of the complexity of adoption, the pain and the challenge accompanying it, but ultimately these moments are still constructed to hold up that myth. So, I am cautious, knowing that so many of our stories are hard to imagine an ending for because we don’t know where we begin. For many of us, our identities are not an arch that follows the ever after of fairy tales and legends. No, we must continually find ourselves in the in-betweens of life, the spaces that are unknown and missing. There is no home to go to, we are neither fully here nor there. So many of our stories are hard to imagine an ending for because we don’t know where we begin. Instead, Saroo reminds me of the beauty and the challenge of being undiscovered. I hope the message of Lion compels adoptees to share our narratives and fight the tendency to make adoption a monolith. I hope “Lion” reminds us that our stories are unique and needed because the world needs stories that are incomplete. We need to know that we are whole just as we are. May we have the courage to embrace ourselves and the complexities of our stories.